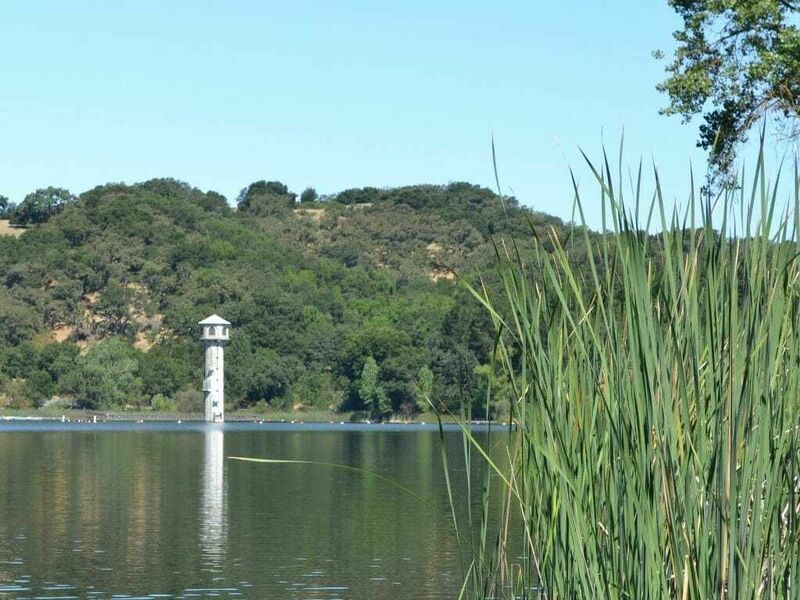 Roughing It is located at the beautiful Lafayette Reservoir, a 900 acre lakefront site in the San Francisco East Bay. This is the perfect place for children to spend their summers. With hills to explore, trails to hike, grassy fields to play games, a lakefront with docks for fishing and Captain Rough’s Cove to boat on, plenty of spots to find your group’s secret fort, and time to relax under the shade of the coastal oak trees, our campers get to experience the outdoors first hand each and every day. Native wildlife are abundant from the mallard ducks, Canada geese, and American pelicans on the lake, to the trout and sunfish living in the water. There are wild turkeys, quail, and deer hiding in the brush. We teach our campers to be good stewards of the park, to appreciate the environment, and to “leave only footprints” when we go home at the end of the day. Catch a Fish – Find Big Fred, the biggest fish in the Res!  Campers 4-16 years old enrolled in our Day Camp or Horse programs ride at our private ranch in Moraga, a 20 minute shuttle from the Lafayette Reservoir. 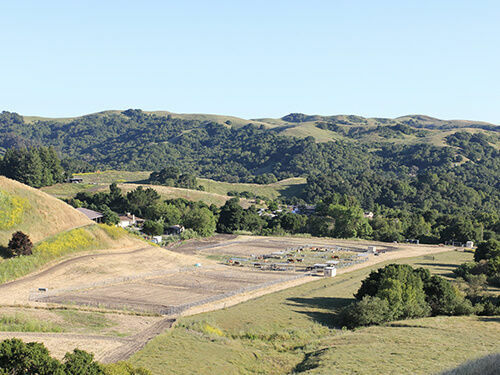 Our riding site includes 22 horses, four spacious riding arenas, trail course, cross country jump course, and pasture trails. Instruction for beginner through advanced riders. 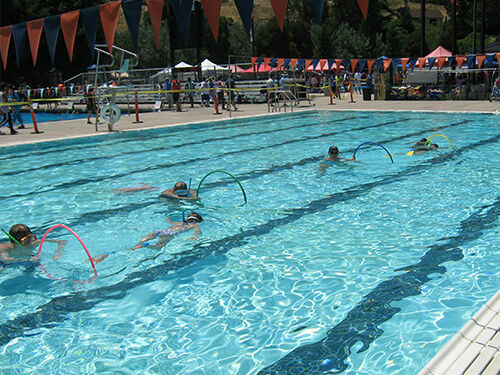 Our swim program is located at the Soda Aquatic Center, a ten minute shuttle from the Reservoir. We use a shallow lap pool for our beginner lessons and an Olympic size pool and diving pool for advanced lessons. Campers receive instruction from our lifeguard certified Swim Staff. We follow the American Red Cross Swim Levels 1 – 6 (beginner through advanced). 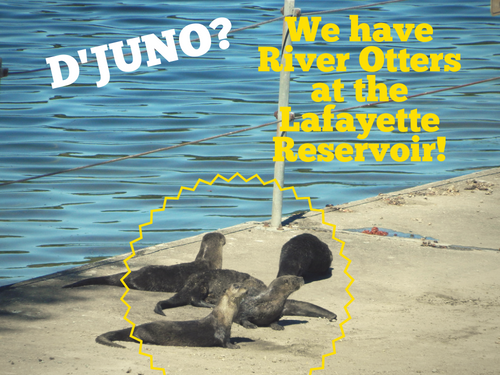 Wildlife is abundant at the Lafayette Reservoir!